Simply plug it in and start playing. This is a decent product. They feel more responsive than original controller. I like. 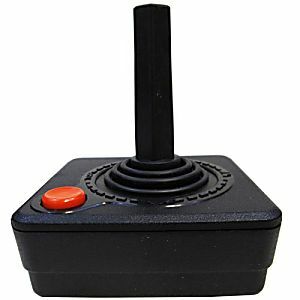 Over the last year, I have purchased a few knock off Atari 2600 Joysticks. Some USB attached, some like this that have the actual 9-pin adapter. Most of all of them have the same problems. 1) Very clicky. You will know when you push the button or move the stick. Very loud clicks from the contacts on the inside. Nothing like the atari sticks of old. And.. 2) The white plastic insert shaft that applies pressure to the contacts is very poorly designed or the plastic material used is bad. If you play very delicately and handle the stick like a piece of glass, you might be okay. If you get caught up and start really tweaking the joystick (which is normal to do on these sticks) the plastic will break very easily. Mine lasted about 2 days of minimal use. Good thing is - is that if you have spare parts around from an old school 2600 joystick, you can use the original white plastic shaft and replace it in these joysticks and all is well. (Except for the extremely loud clicking noise from contacts.) These are better than nothing - but they will not last long. 2-8-18 fast delivery and the controllers were better than the original. This joystick works much, much better than the original. The sensitivity makes my old gaming experience much more enjoyable.